With its minimalist and simple design, the Safco Ready-to-Use Computer Desk is a neat way to organize a computer work setup. It features a weight capacity of 150 pounds for the desktop and 25 pounds for the keyboard tray. 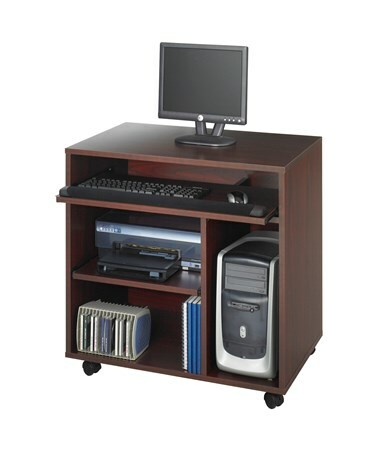 This desk has a slide-out printer shelf and a separate keyboard/mouse shelf, as well as a CPU compartment and additional lower storage space. 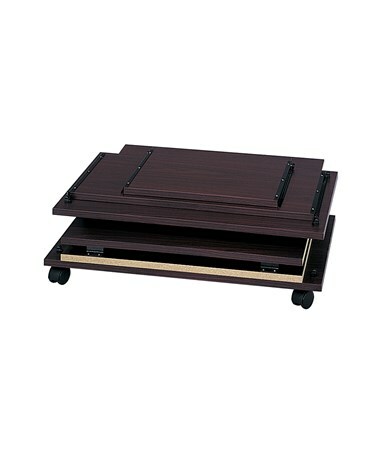 It also has four dual wheel carpet casters, two of which can be locked to make the desk stationary. 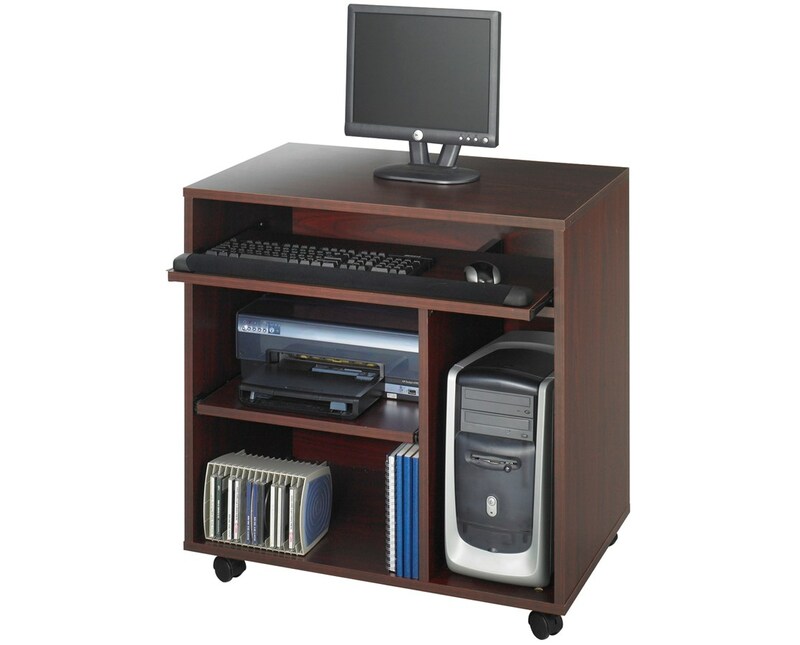 This mobile computer workstation is made of furniture-grade particleboard with a durable laminate finish. It can be stored flat and is easy to assemble without using any tools. Its panels are hinged for folding out and snap securely in place. This unit meets the BIFMA industry standard, meaning it is safe for indoor use. Work Surface Height 30 ½"